I saw today that Nevada is considering a speed limit change on some of their more remote highways. They are proposing an increase to a posted 85MPH. I like Nevada and don’t find the landscape as god-awful as many others will decry, but I do think the faster one can move from one point to another in the long stretches of the high mountain desert, the better. It’s always best to leave people wanting more. However, I do feel slighted by this change. Back in 1984, I received a ticket for going 68 in the posted 55 outside of Elko. There are some who still feel that 55 is the right speed limit, but those people have never traveled I-80 form Salt Lake to Reno. The fact that I could contain my speed to 68 is actually amazing. I say ticket, but in reality it was a citation. A non-moving citation. Let me explain. 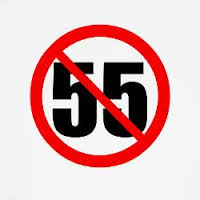 The state of Nevada knew that 55MPH was a mistake, maybe borderline cruel. Everyone knew it. Unfortunately, Nevada also knew that if they did not adhere and enforce the Federal mandated inane speed limit, they would cease to receive highway money. So someone, either the Nevada Highway Patrol or maybe state elected officials, created another option. Instead of issuing tickets for every offender, tickets that could be costly and added points onto the driver’s record, NHP officers could, under certain guidelines, issue a Waste of Fuel Citation. It meant that they were enforcing the speed limit as mandated but without the heavy handed penalties. If one really wanted to, you could rack a few of these up and go a little faster. My citation cost me $15. Had I been going 70, I would’ve got a ticket. It still irks me that on a stretch of highway now posted for 80 and possibly 85 soon, I had to pay $15 for speeding. I was making a teenager wage of $4.25; it was not chump change for me at the time. Afterwards, I kept the speedometer in the 1977 Camaro 64 or under and avoided any additional legal entanglements. Maybe I was safer for it. Maybe I saved fuel. Maybe I wrecked the planet a little less that day. But it made for a long drive back to California.